Sustainability in Newark is becoming more and more real, its wheel spinning and gaining speed on our road to continued success. 23 year-old resident, Aaron Daniels, started Jersey Buzz, LLC 3 years ago, turning a hobby and fascination in to a full-blown business venture. As a student, who graduated from Central High School, Aaron was fond of working outdoors and reading. Those two passions, along with an internship at the Greater Newark Conservancy, led to a fascination of bees. Overseeing every link in the chain on his wheel, Aaron started the business in his own backyard and even builds the boxes, which house the hives. Completing another wheel, Aaron now works out of the Conservancy, where he solely does all of the operations of the business, including tending to the hives, cultivating the honey and combs, making the products, and packaging. 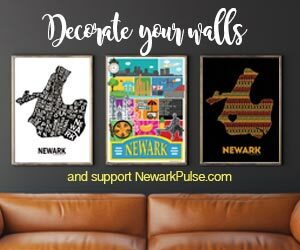 To sustain the business and revenue, Jersey Buzz currently sells its products online through its website and through another new Newark business, ?uestion Mart. The products range from honey jars, lip balms, soaps, to honey sticks, with more products and locations on the horizon. They are reaching markets as far away as Boston, where the products represent the entire state of New Jersey, at Follow the Honey, which curates related products from world! Besides becoming a farmer full-time and continuing the sustainability wheel around our city, Aaron is quick to discuss the other positive facets that we have to offer. He notes a must-do activity as attending a Devils game. He also recommends Sweet Potato's Grill & Soul Food, a restaurant located in his West Ward neighborhood. So if anyone every questions whether or not we are a community, just let them know: we grow our own flowers; we raise bees to pollinate them and then to make honey; we sell the honey; we buy the honey to cook stick-to-your-ribs soul food; and we smile while we do it. All right here.